Wow! If you like a lot of color this sarong is for you! 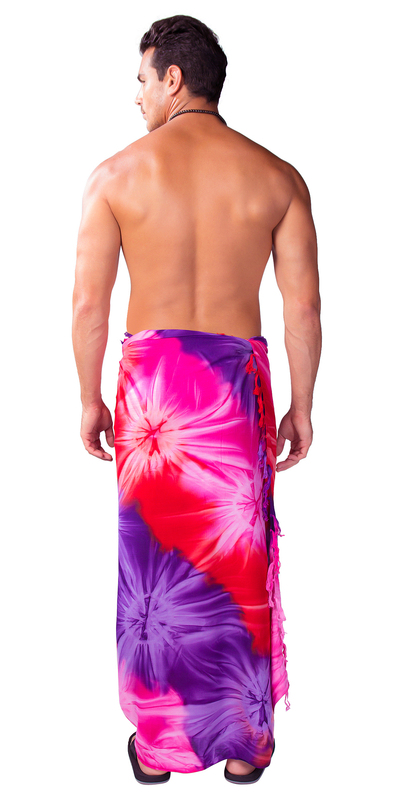 This beautiful tie dye sarong has some of the most vivid and stunning colors ever done with tie dyes. Picture does not do justice to this item. This sarong is surely to get your "Chakra" flowing. This pretty tie dye sarong with lots of fun color is great for a day at the beach, pool, lake or wherever else your heart desires. Sarong measures approximately 66 x 44 inches (168 cm x 112 cm) on fringed lightweight rayon. Sarong measure approximately 66 x 44 inches (168 cm x 112 cm) on fringed lightweight rayon. Want ideas on how to tie a sarong? Click here: Sarong Ties and Uses. Please note color, size, and design will vary due to the handmade nature of this item.